HiPP Organic (Dutch) Combiotik First Infant..
Cow & Gate Follow-On Milk 2 from 6-12 M..
Aptamil First Infant Milk From Birth - 6 Mo.. 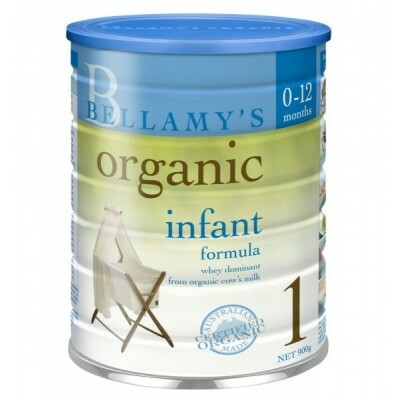 When you have made the decision to use infant formula, we recommend a certified organic choice. Bellamy's Organic Step 1 Infant Formula is suitable for most babies from birth through to 12 months. It’s made from certified organic cows milk, blended with essential fatty acids, vitamins and minerals so you can be sure you are offering your baby the best nutrition in accordance with world-class Australian Food guidelines and standards.